« Why is Oral Hygiene Important? Are you looking for a perfect Christmas present? Welcome to December! Holiday season is approaching fast and everyone is rushing to get presents for their loved ones. Did you know that you can buy teeth whitening and other dental work vouchers for you family members and friends at Brite Dental? There is nothing better than seeing them smile bright! Contact your local Brite Dental clinic and ask about dental work gift vouchers. Season’s Greetings from Brite Dental! Our dental teams have started decorating practices for Christmas. The first one to wish you happy holiday season is our dental clinic in Clarkston. 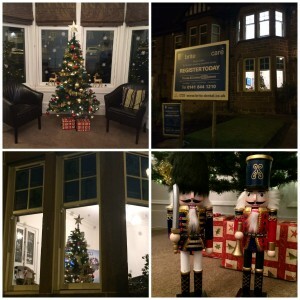 If you are a patient with us or are looking for a dentist in Clarkston visit us and see our Christmas display. If you would like to find out more contact us today! This entry was posted on Thursday, December 4th, 2014 at 4:06 pm	and is filed under Uncategorized. You can follow any responses to this entry through the RSS 2.0 feed. You can skip to the end and leave a response. Pinging is currently not allowed.